The question of death selection may be the most important decision in your life. 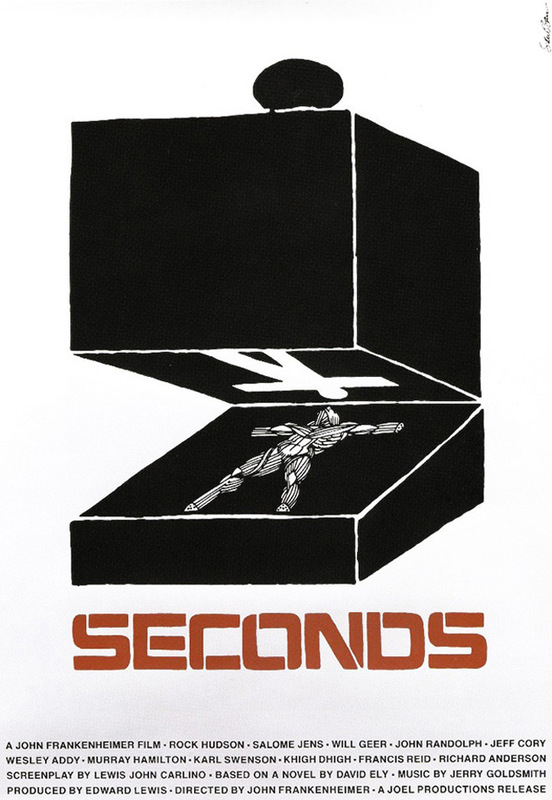 Author Pat Kirkham discusses the opening titles for Seconds, designed by Saul and Elaine Bass, from her authoritative book Saul Bass: A Life in Film and Design. 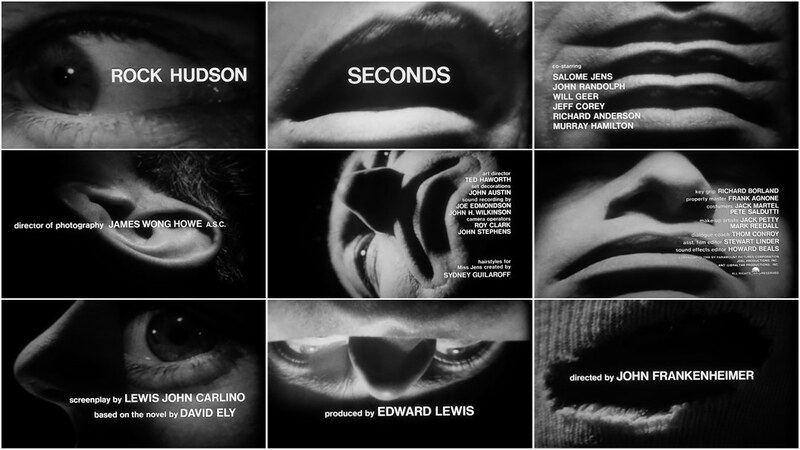 [Director John] Frankenheimer, who was already working with Saul on Grand Prix, was of the opinion that Saul was the only person capable of designing an appropriate title sequence for Seconds, a Faustian sci-fi drama about a secret organization that offers the wealthy the chance to assume new identities and bodies. Rock Hudson stars as a respectable sixty-year-old banker who, through advanced surgical procedures, takes up a “second” life as a bohemian painter. Frankenheimer recounted how he actively pursued Saul until he agreed, although Elaine recalls that it was pressure of other work rather than any lack of interest in the project that made them hesitate. 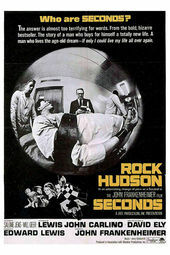 Described by Frankenheimer as “breathtaking,” the sequence seems to be the result of state-of-the-art technical effects, but in fact the process could hardly have been simpler — photographing the reflection of a perfectly normal physiognomy onto aluminum sheets that were manipulated to create distortions. In the strange, contorted images on screen, it is difficult to imagine that we are actually looking at the friendly face of Art Goodman, Saul's long-time collaborator, who gamely volunteered to model. Pat Kirkham is Professor in the History of Design, Decorative Arts and Culture at the Bard Graduate Center for Studies in the Decorative Arts, Design & Culture, New York. She has written and edited a number of books, including Charles and Ray Eames (1998) and Women Designers in the USA 1900–2000 (2001). ©2011 Laurence King Publishing Ltd. Used with permission.